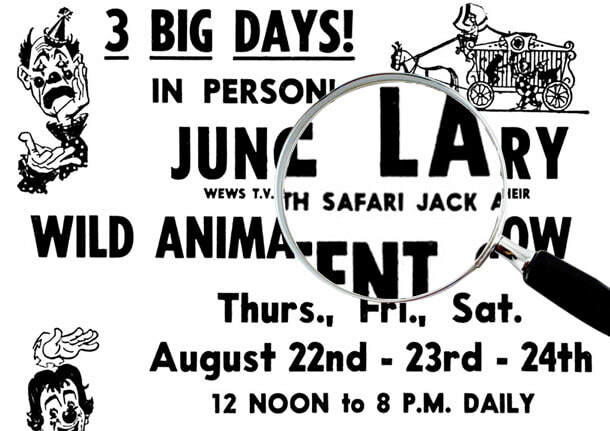 Following the smaller summer park venues in Huron and Vermilion, Larry opened up Jungle Circus at Puritas Springs Park on the west side of Cleveland for the summers of 1957 and '58. Visitors watched as Larry milked rattlesnakes and taught guests about crocodiles, monkeys, lizards, vultures, lions, and other wonders of the animal kingdom. 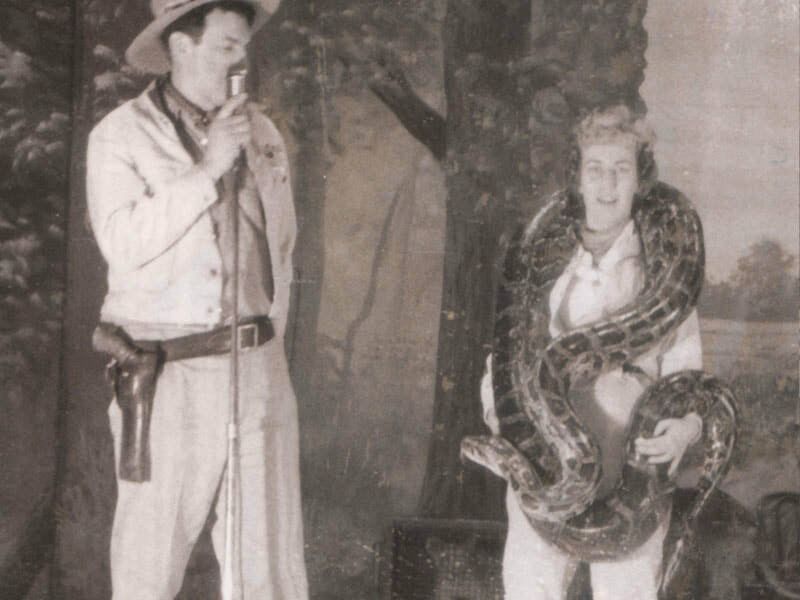 With gentle encouragement from Jungle Larry, thousands of guest overcame their fear of snakes by meeting various snakes including two pythons perfectly named for the era: "Rock" and "Roll." The day Nancy met Larry in 1957 at Puritas Springs Park. 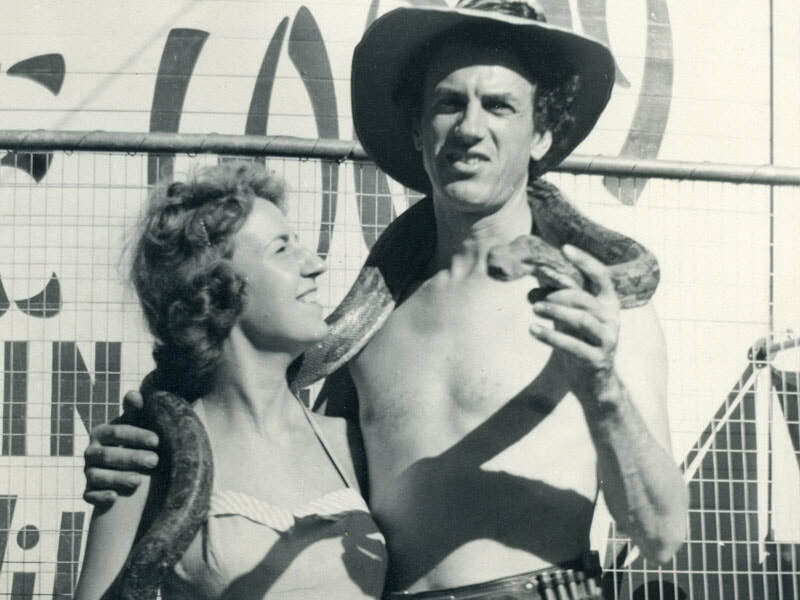 During that first summer, one of those park visitors that overcame her fear of snakes would go on to join Larry for the adventure of a lifetime. Nancy enjoyed roller skating at Puritas Springs Park. One afternoon after skating, she and her brother Lee made a visit to see Larry's animals. A cougar showed a great interest in Nancy - and soon Larry did, too. Nancy and Larry with the cougar that introduced them along with their Great Dane. They began dating and were married on December 1, 1957. From then on, they toured together as Jungle Larry® and Safari Jane® in person and on TV. 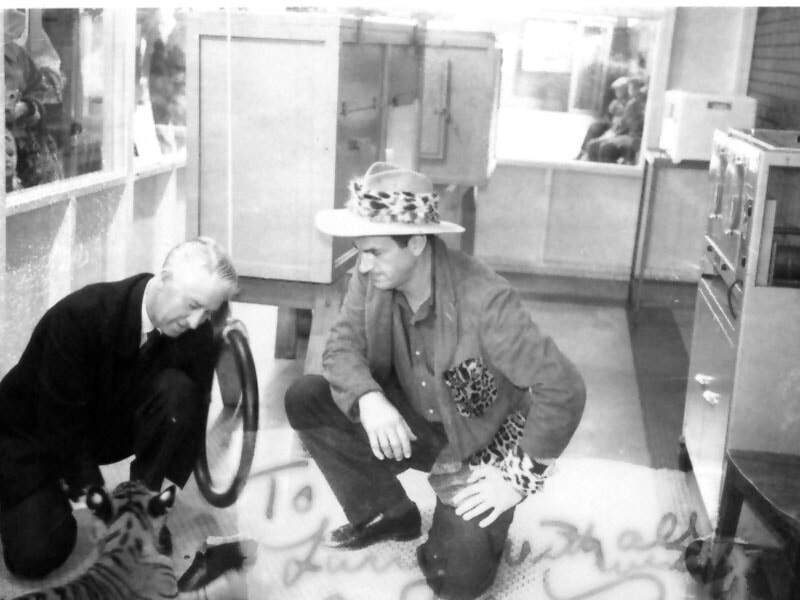 Larry's first tiger came from Marlin Perkins of Mutual of Omaha's Wild Kingdom fame (See the opening in this video). Marlin and Larry can be seen here with the young tiger at the St Louis Zoo. The skating rink that would change their future. 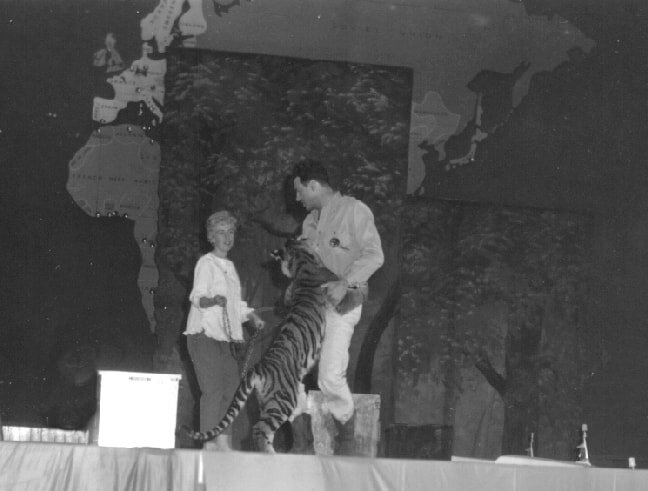 Larry and Nancy Jane on stage with a young tiger. Nancy would join Larry for his presentations or do them herself. Before Nancy met Larry, he had a man working for him called "Safari Jack." A typo in an ad for an appearance at a mall changed "Jack" to "Jane" and the name was born. People arrived asking about Safari Jane. 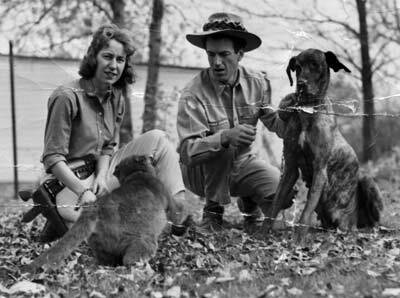 When Nancy came into the picture, she became the living embodiment of the Safari Jane name -- and it's how she came to be known as Nancy Jane.